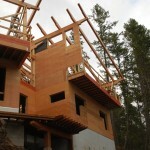 Ecocentric Design offers building design and Passive House consulting services. Ecocentric Design is committed to deep sustainability, specializing in ultra energy-efficient Passive House design, incorporating Living Building principles. 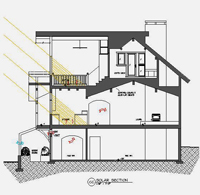 Passive House is a rigorous, voluntary standard for energy efficiency in a building, resulting in ultra-low energy buildings that require little energy for space heating or cooling. Passive House is a building standard that is truly energy efficient, comfortable, affordable and ecological at the same time. Read more about Passive house here. Read more about about Living Building here. At Ecocentric Design, we believe a building should be an integrated part and a meaningful addition to the landscape. 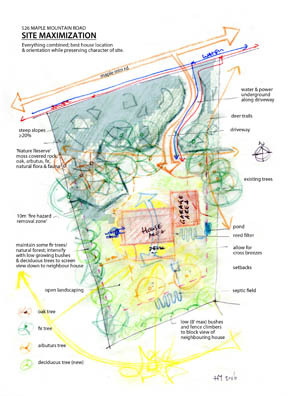 We draw from permaculture principles in an adaptive design process to organize the project site and the relationship with the surrounding landscape. Optimization of solar exposure, site access, approach, privacy, the integration of food production and recreational space, power access/generation, water collection and waste water treatment are taken into account. After the building program is established and a building site is selected, a conceptual design is developed, in conjunction with the site plan. The conceptual design (also called schematic design) captures the idea of the project as the principal building configuration, look and intent is visualized with a mass model and schematic drawings. After the conceptual design is completed, the design is developed to a defined, hard-lined plan. In this stage the floor plan layout, sections and elevations are developed as the building model is being refined, together with energy modeling, building materials, construction methods, principal details and environmental technologies. PHPP (Passive House Planning Package) is the sophisticated energy modeling tool that is used during the design development to optimize the energy performance. 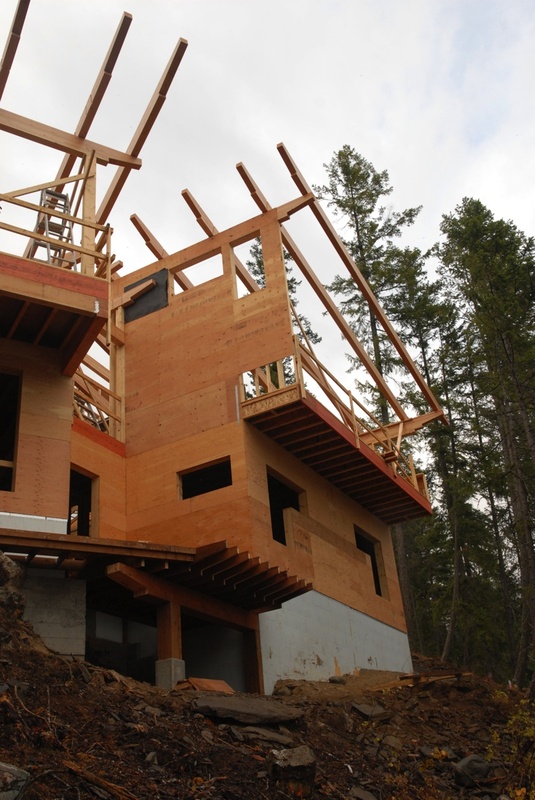 Passive House Certification, is an option to ensure that the building design truly meets Passive House requirements. When the design is fully developed, the construction drawings, or blueprints, are generated. In this stage the construction details, dimensioned plans, sections, elevations, door and window schedules and specifications are generated and compiled in a set of drawings. 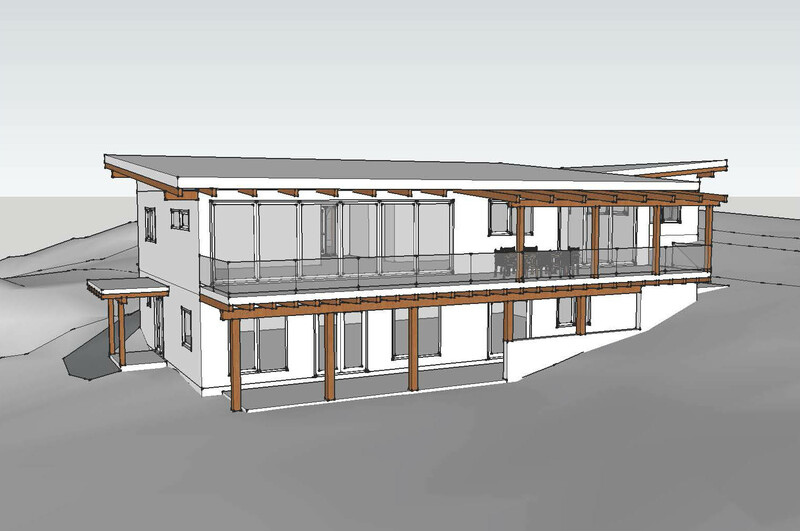 In the case of a Passive House, the PHPP gets more refined as the design gets more detailed, ensuring Passive House criteria continue to be met. The construction drawings serve as the principal document for building permit application and construction guidance. The proper execution of the project is imperative for the achievement of Passive House and Living Building Certification. Therefore it is necessary to supervise the construction to ensure that the work is done in accordance with the design. Retrofit+Passive House+ecologic=EcoPHit. Integrating Passive House and Living Building principles into renovating or retrofitting of an existing home the embodied energy of the building is preserved, while the ecological footprint of the building’s life cycle is reduced, adding value, comfort and functionality.